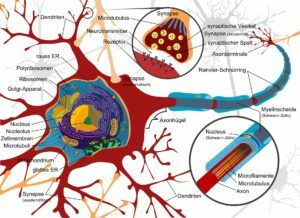 Neurological disorders resulted from any disorders of the nervous system can present a wide range of symptoms, such as pain, paralysis, muscle weakness, and poor sensation, etc. About one billion people around world could be affected by neurological disorders and their direct consequences. Among them, nerve pain is the worst symptom appeared in neurological disorders. Pain can arise from degeneration, stroke, inflammation/infection and trauma, or other conditions. It is usually a sharp shooting pain or burning sensation along the nerve pathway and can last constantly. Based on the neurological assessment, treatment for neurological disorders includes medication, operation, neurorehabilitation, and physio, etc. Acupuncture has been found effective as a conjunctive method for neurological disorders. Headaches, migraines and neuralgia are the common painful conditions treated with acupuncture for many years due to the effectiveness of pain management. Comprehensive scientific data from Chinese researches has shown that needling the acupuncture points may activate the afferent fibers of peripheral nerves to conduct signals to the central nervous system and produce analgesic effect. and balance the signals in the ischemic brain region. It may further reduce neuronal damage and increase the number of neurons in the substantia nigra. Other researches show that acupuncture may stimulate neurotransmitters, especially activate endogenous opioid peptides system which broadly involves in the physiological functions and pathophysiologic process. It also helps to increase synaptic dopamine which may improve the motor function for Parkinson’s patients. Traditional Chinese Medicine believes that pain and symptom could result from a blockage of energy (qi) and circulation (blood). Progressive functional disruptions due to degeneration /damage of structure also indicates underlying long-term imbalance. Therefore, treatment focuses on removing the blockage to free the circulation. In addition, it also regulates the function of internal organ to recover the balance of whole body. Acupuncture on a regular base stimulates body’s potential to speed up the rehabilitation as well as slows down the degeneration process for long term. Headaches / migraine, insomnia, trigeminal neuralgia (Facial pain), bell’s palsy, shingles, carpel tunnel syndrome, meniere’s syndrome, hemiplegia, post-stroke syndrome, etc.